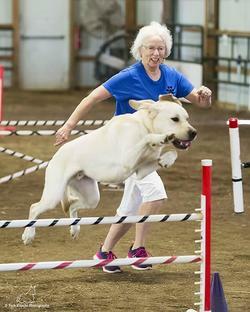 Berks County Dog Training Club has sponsored AKC Obedience Trials since 1949, and we were one of the first clubs in the country to add Rally to our Trials. We have been training owners to train their dogs for over 50 years. We occasionally offer tracking, nose work and agility for our members. ...and we are about experienced, qualified, proven instructors. ​Training creates a bond between dog and human that you cannot achieve any other way. ​We hold parties and events that include our dogs like this from our Halloween party. 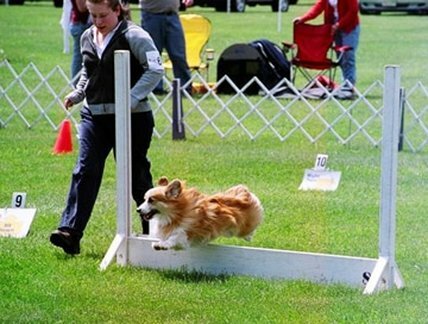 As an AKC sanctioned club, we put on Obedience, Rally and Agility "Trials" where dogs and handlers earn AKC titles. 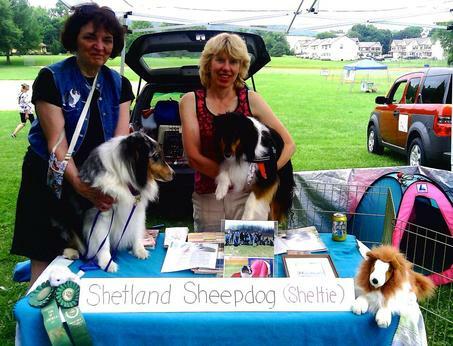 We travel to events to educate pet owners about dog training and living with our dogs. ​The Berks County Dog Training Club was founded in 1946 as a not-for-profit organization with the purpose of training you to train your dog. To this day we continue with that same purpose. Through the years we have grown to a membership of several hundred people. We are a very active group with many dedicated volunteers who would welcome the opportunity to "train you to train your dog."